The guides in this series are designed to help the reader understand the Bible in fresh ways under the guidance of one of the world's leading New Testament scholars. Thoughtful questions, prayer suggestions, and useful background and cultural information are offered. 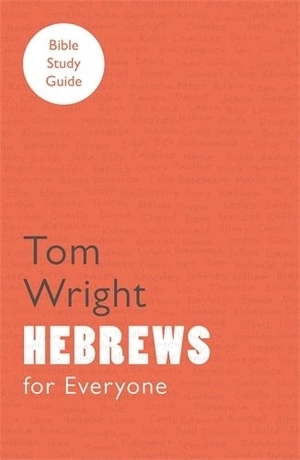 For Everyone Bible Study Guides: Hebrews by Tom Wright was published by SPCK in October 2010 and is our 1400th best seller. The ISBN for For Everyone Bible Study Guides: Hebrews is 9780281063796. Be the first to review For Everyone Bible Study Guides: Hebrews! Got a question? No problem! Just click here to ask us about For Everyone Bible Study Guides: Hebrews.